District councillors and the local metro mayor have hailed the continuation of a rural bus service after they provided £10,000 in emergency funding. 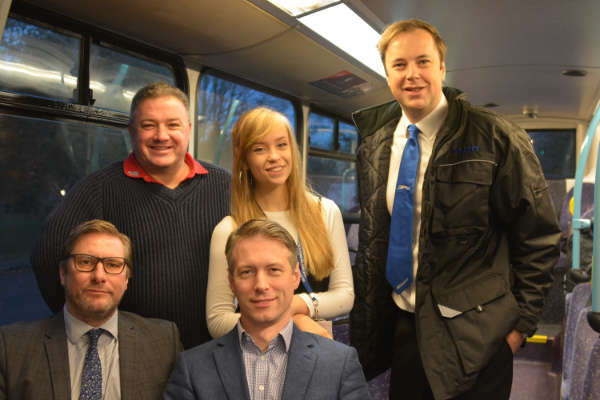 South Cambridgeshire District Council and Cambridgeshire and Peterborough mayor James Palmer stepped in with a grant last month when it was announced that the X3 service from Papworth to Cambridge would cease to operate. The subsidy will keep the service going until proposed changes to bus services, due to be implemented from April, can be finalised and announced, following a review by Mr Palmer. Whippet Coaches’ managing director, Charlie Hamilton, took to the wheel to drive the 7.01am X3 bus from Papworth on Monday (12 November) to celebrate. Mr Palmer said: ‘The continuation of this service I know will come as a welcome relief for the many people who relied upon it, particularly those living in Papworth Everard. Separately, the Commons Transport Committee has announced plans to visit Bristol as part of its inquiry into the health of the bus market. The city has bucked the trend of declining bus usage in English metropolitan areas with a 40% rise in passenger journeys since 2009/10. Chair Lilian Greenwood and committee members Grahame Morris and Daniel Zeichner planned to meet the city council and operator First Group, followed by the city’s mayor, Marvin Rees. On Monday afternoon, in the first public evidence session the committee has held outside Westminster, it will take evidence from West of England mayor Tim Bowles and representatives from Plymouth City Council and Devon County Council. 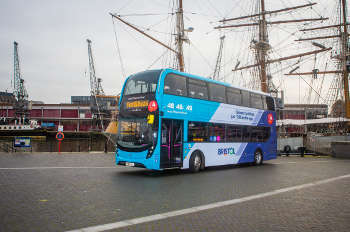 Writing in the Bristol Post, Ms Greenwood said: 'While the session in Bristol will focus on the role and performance of local authorities, the most important player in the bus market is the passenger and hearing their experiences is key to our inquiry.